Welcome to New Rose Ragdolls and thank you for visiting my website. My name is Sara Alexander and I am a TICA registered, small Ragdoll breeder, located in beautiful Southwest Washington. I fell in love with the Ragdoll breed eight years ago when I acquired my first pet Ragdoll, Sherman. After two more ragdolls (that makes three total!) I decided to start breeding this wonderful cat about four years ago. 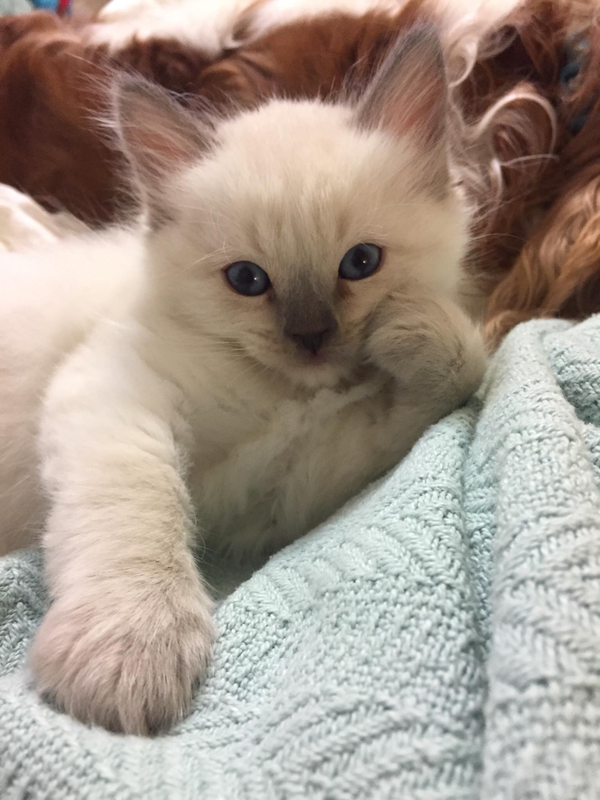 I have received all of my gorgeous Ragdolls, both pet and breeder, from my amazing mentor Kristie Long with Longfellow Ragdolls in Olympia, WA. This year has been a wonderfully exciting adventure as I strengthen the New Rose name and Ragdoll Breed. I cherish bringing such joy to those who adopt my babies. I currently have four breeding and am thrilled to add to the strength of this incredible breed through my girls. I have several stunning prospective queens who carry strong champion pedigrees and I can't wait to see the strength and beauty they add to New Rose. The adventure continues! If you would like to see more updates, please visit New Rose Ragdolls Facebook page!